Is it possible to add Colors to the Colorpalette of newer Bricks? 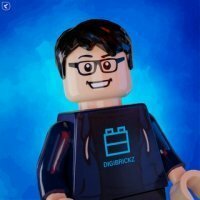 Since i see there are a member/people that don't know a BrickLink colors in LDD or used a color wrong. That's make me want to make a conversion. Conversion [HINT: Use Browser's search function (usually CTRL+F, or command+F for MAC) to search a colors] Light Aqua (BrickLink) = 323 - Aqua (LDD) Black (BrickLink) = 26 - Black (LDD) Tan (BrickLink) = 5 - Brick Yellow (LDD) Blue (BrickLink) = 23 - Bright Blue (LDD) Dark Turquoise (BrickLink) = 107 - Bright Bluish Green (LDD) Violet (BrickLink) = 110 - Bright Bluish Violet (LDD) Bright Green (BrickLink) = 37 - Bright Green (LDD) Orange (BrickLink) = 106 - Bright Orange (LDD) Dark Pink (BrickLink) = 221 - Bright Purple (LDD) Red (BrickLink) = 21 - Bright Red (LDD) Light Purple (BrickLink) = 198 - Bright Reddish Lilac (LDD) Magenta (BrickLink) = 124 - Bright Reddish Violet (LDD) Purple (BrickLink) = 104 - Bright Violet (LDD) Yellow (BrickLink) = 24 - Bright Yellow (LDD) Lime (BrickLink) = 119 - Bright Yellowish Green (LDD) Medium Orange (BrickLink) = 105 - Bright Yellowish Orange (LDD) Dark Flesh (BrickLink) = 217 - Brown (LDD) Pearl Light Gray (BrickLink) = 296 - Cool Silver (LDD) Metallic Silver (BrickLink) = 298 - Cool Silver, Drum Lacquered (LDD) Bright Light Yellow (BrickLink) = 226 - Cool Yellow (LDD) Salmon (BrickLink) = 123 - Bright Reddish Orange (LDD) Copper (BrickLink) = 139 - Copper (LDD) Speckle Black-Copper (BrickLink) = *306 - Defused Copper (LDD) Dark Yellow (BrickLink) = 180 - Curry (LDD) Dark Azure (BrickLink) = 321 - Dark Azur (LDD) Dark Brown (BrickLink) = 308 - Dark Brown (LDD) Green (BrickLink) = 28 - Dark Green (LDD) Dark Gray (BrickLink) = 27 - Dark Grey (LDD) Earth Orange (BrickLink) = 128 - Dark Nougat (LDD) Dark Orange (BrickLink) = 38 - Dark Orange (LDD) Dark Blue-Violet (BrickLink) = 196 - Dark Royal Blue (LDD) Dark Bluish Gray (BrickLink) = 199 - Dark Stone Grey (LDD) Sky Blue (BrickLink) = 232 - Dove Blue (LDD) Dark Blue (BrickLink) = 140 - Earth Blue (LDD) Dark Green (BrickLink) = 141 - Earth Green (LDD) Brown (BrickLink) = 25 - Earth Orange (LDD) Bright Light Orange (BrickLink) = 191 - Flame Yellowish Orange (LDD) Light Gray (BrickLink) = 2 - Grey (LDD) Lavender (BrickLink) = 325 - Lavender (LDD) Light Blue (BrickLink) = 45 - Light Blue (LDD) Aqua (BrickLink) = 118 - Light Bluish Green (LDD) Light Violet (BrickLink) = 39 - Light Bluish Violet (LDD) Light Green (BrickLink) = 6 - Light Green (LDD) Very Light Gray (BrickLink) = 103 - Light Grey (LDD) Light Flesh (BrickLink) = 283 - Light Nougat (LDD) Earth Orange (BrickLink) = 12 - Light Orange Brown (LDD) Bright Pink (BrickLink) = 222 - Light Purple (LDD) Pink (BrickLink) = 9 - Light Reddish Violet (LDD) Bright Light Blue (BrickLink) = 212 - Light Royal Blue (LDD) Very Light Bluish Gray (BrickLink) = 208 - Light Stone Grey (LDD) Light Yellow (BrickLink) = 3 - Light Yellow (LDD) Light Lime (BrickLink) = 120 - Light Yellowish Green (LDD) Medium Azure (BrickLink) = 322 - Medium Azur (LDD) Medium Blue (BrickLink) = 102 - Medium Blue (LDD) Light Turquoise (BrickLink) = 116 - Medium Bluish Green (LDD) Medium Violet (BrickLink) = 112 - Medium Bluish Violet (LDD) Medium Green (BrickLink) = 29 - Medium Green (LDD) Medium Lavender (BrickLink) = 324 - Medium Lavender (LDD) Dark Purple (BrickLink) = 268 - Medium Lilac (LDD) Medium Dark Flesh (BrickLink) = 312 - Medium Nougat (LDD) Dark Pink (BrickLink) = 22 - Medium Reddish Violet (LDD) Light Bluish Gray (BrickLink) = 194 - Medium Stone Grey (LDD) Chrome Gold (BrickLink) = 310 - Metalized Gold (LDD) Pearl Dark Gray (BrickLink) = 148 - Metallic Dark Grey (LDD) Metal Blue (BrickLink) = 145 - Metallic Sand Blue (LDD) Flat Dark Gold (BrickLink) = 147 - Metallic Sand Yellow (LDD) Pearl White (BrickLink) = 183 - Metallic White (LDD) Dark Red (BrickLink) = 154 - New Dark Red (LDD) Flesh (BrickLink) = 18 - Nougat (LDD) Olive Green (BrickLink) = 330 - Olive Green (LDD) Maersk Blue (BrickLink) = 11 - Pastel Blue (LDD) Glow In Dark Trans (BrickLink) = 294 - Phosphorescent Green (LDD) Glow In Dark Opaque (BrickLink) = 294 - Phosphorescent White (LDD) Reddish Brown (BrickLink) = 192 - Reddish Brown (LDD) Blue-Violet (BrickLink) = 195 - Royal Blue (LDD) Sand Blue (BrickLink) = 135 - Sand Blue (LDD) Sand Green (BrickLink) = 151 - Sand Green (LDD) Sand Red (BrickLink) = 153 - Sand Red (LDD) Sand Purple (BrickLink) = 136 - Sand Violet (LDD) Dark Tan (BrickLink) = 138 - Sand Yellow (LDD) Flat Silver (BrickLink) = 315 - Silver Metallic (LDD) Yellowish Green (BrickLink) = 326 - Spring Yellowish Green (LDD) Pearl Dark Gray (BrickLink) = 316 - Titanium Metallic (LDD) Trans-Clear (BrickLink) = 40 - Transparent (LDD) Trans-Dark Blue (BrickLink) = 43 - Transparent Blue (LDD) Glitter Trans-Purple (BrickLink) = 129 - Transparent Bluish Violet (Glitter) (LDD) Trans Purple (BrickLink) = 126 - Transparent Bright Bluish Violet (LDD) Trans-Bright Green (BrickLink) = 311 - Transparent Bright Green (LDD) Trans-Orange (BrickLink) = 182 - Transparent Bright Orange (LDD) Trans-Pink (BrickLink) = 230 - Transparent Bright Purple (LDD) Trans-Purple (BrickLink) = 236 - Transparent Bright Reddish Lilac (LDD) Trans-Bright Green (BrickLink) = 227 - Transparent Bright Yellowish Green (LDD) Trans-Black (BrickLink) = 111 - Transparent Brown (LDD) Trans-Light Orange (BrickLink) = 231 - Transparent Flame Yellowish Orange (LDD) Trans-Medium Blue (BrickLink) = 143 - Transparent Fluorescent Blue (LDD) Trans-Neon Green (BrickLink) = 49 - Transparent Fluorescent Green (LDD) Trans-Neon Orange (BrickLink) = 47 - Transparent Fluorescent Reddish Orange (LDD) Trans-Green (BrickLink) = 48 - Transparent Green (LDD) Trans-Light Blue (BrickLink) = 42 - Transparent Light Blue (LDD) Trans-Very Lt Blue (BrickLink) = 229 - Transparent Light Bluish Green (LDD) Trans-Dark Pink (BrickLink) = 113 - Transparent Medium Reddish Violet (LDD) Glitter Trans-Dark Pink (BrickLink) = 114 - Transparent Pink Glitter (LDD) Trans-Red (BrickLink) = 41 - Transparent Red (LDD) Trans-Light Purple (BrickLink) = 284 - Transparent Reddish Lilaq (LDD) Glitter Trans-Clear (BrickLink) = 117 - Transparent with Glitter (LDD) Trans-Yellow (BrickLink) = 44 - Transparent Yellow (LDD) Pearl Gold (BrickLink) = 297 - Warm Gold (LDD) Metallic Gold (BrickLink) = *299 - Lacquered Gold/Warm Gold (LDD) White (BrickLink) = 1 - White (LDD) Glow In Dark White (BrickLink) = 329 - White Glow (LDD) _Colors not show in the paint tool, but will show correctly if use LXFML colors edit. *Brick not show correctly, but description yes. This conversion is from Brickset and my research. This conversion is just for color that exist in both LDD and BrickLink. With Cebelicamya making a thread for the hair pieces produced by TLG so why not do one for the heads. Yes I know, there are hundreds upon hundreds but why not it will help people out. Here we go: Yellow Male Both Eyes Clean Shavin' No Face Accessories Wow that is a lot of Lego Heads and that's just the first wave of them. I will keep posting from the Firestar Toys website and once done with those, start on Bricklink and the newer heads that have not been posted on the sites. For instance heads from Summer City sets and so on and so forth, happy building! As I have decided using just the exact real life brick colors (I mean combination of specific brick and color) I have quite a problem with LDD naming scheme as its color names in many (if not most) cases do not fit official LEGO colors naming. For example, which colors in LDD represents these as of now for me very crucial colors: Light Bluish Grey (I am using LDD color 208 - Light Stone Grey) Dark Bluish Grey (I am using LDD color 199 - Dark Stone Grey) Light Grey (I am using LDD color 2 - Grey) Yellow (I am using LDD color 24 - Bright Yellow) Dark Grey (I am using LDD color NO USABLE COLOR!) Flat Silver (I am using LDD color 298 - Cool Silver, Drum Lacq) Trans Purple (I am using LDD color 126 - Light Bright Bluish Violet) Trans Neon Orange (I am using LDD color 47 - Transparent Fluorescent Reddish Orange) Metal Blue (I am using LDD color 145 - Metallic Sand Blue) Can anyone participate and tell me if those are correct or there are some others that I should choose as their LDD equivalents (ehm, there are no others in LDD as a fact actually )? I am a bit lost and really really need help (as I have to be as much accurate as possible so my renders would represent real brick model rigorously)! Besides I really do not understand why they did chose such made up naming and not the ones from real existing LEGO brick color names, to me it is quite misleading and unnecessary mess. Production of Lego "speckle" colours? "Speckle colours" are a fine bi-coloured pattern of opaque Lego colours, often a mix of a solid colour and a pearl colour to give a worn-out metal look. In the Peeron titles, the word "glitter" is used (they may be considered to be the opaque equivelent to the glitter-clear colours, although still quite different). I haven't been able to find any information on the production of these colours on the internet. I want to ask a few questions; How are speckle colours painted? How expensive are they to produce relative to a single solid colour? Compared to a pearl colour? There are 4 speckle colours that have appeared to date; Speckle Black-Silver: The first and most common. Introduced in 2005 in "Vikings" and "Knights Kingdom". I don't know which type of silver colour is used. Speckle Black-Gold: Exclusive to 4 "Atlantis" sets in 2010 & 2011. I don't know which type of gold is used. Speckle Black-Copper: Exclusive to 2006 "Knights Kingdom" sets. Speckle DBGray-Silver: Exclusive to 2006 "Knights Kingdom" sets, just like the above. These are the Bricklink titles, as there are no known official names (probably because they are a pattern of existing colours, and 3/4 of them are rare). LDD: Use only the colors that the brick is available in? So I just downloaded LDD and went to start on something and immediately noticed something that is going to cause me problems. How can I make sure I only use the colors that the brick comes in? For example I was trying to place a road baseplate. I know it comes in green and grey, but what green and grey? It lets me choose red for it even. How can I make sure I use correct colors? Thanks.